The press shots for the HTC Rhyme have been spotted by HTC Inside, confirming reports we had last week that this and the HTC Bliss are the same exact phone. While this version may not be chewed-wheatgrass green, there is still a chance that we could see the phone in that color when it lands here in the states. Although, even as a phone geared towards women, I’m not sure they should stray too far from what we are seeing pictured above. We first saw the Rhyme appear on a Verizon MAP list a few weeks back followed by a list of specs that confirm the “charm indicator” accessory, a single-core processor, and dual-cameras. 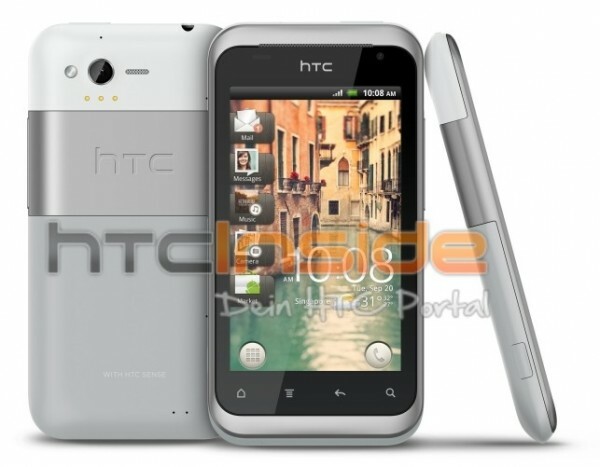 It’s no HTC Vigor, but it will be running HTC Sense 3.5 and have enough goodies to get plenty of on-the-go jobs done. Another solid HTC build.